As a fan of Star Wars as well as Transformers, you could probably imagine how excited I get for any potential crossover. There has been plentiful imagery in Transformers that's paid homage to Star Wars. When the Star Wars Transformers toys were introduced, I was a fast fan. Though I was disappointed that there was no fictional crossover, I did enjoy the fantastic and imaginative figures. The Attacktix figure game was more of the same. Neat toys, neat game, no fictional crossover. I fully understand Lucasfilm not wanting to blend the SW characters into other settings with other characters. But, I'd love to see it happen. 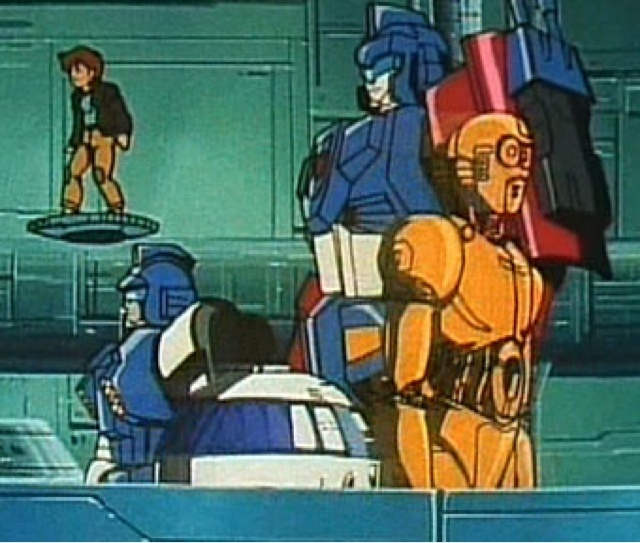 They didn´t combine them in the fictional world, but we did get several Transformers that would change into SW-like figures, that I personally did not care too much for, but still, it was a kind of neat idea.